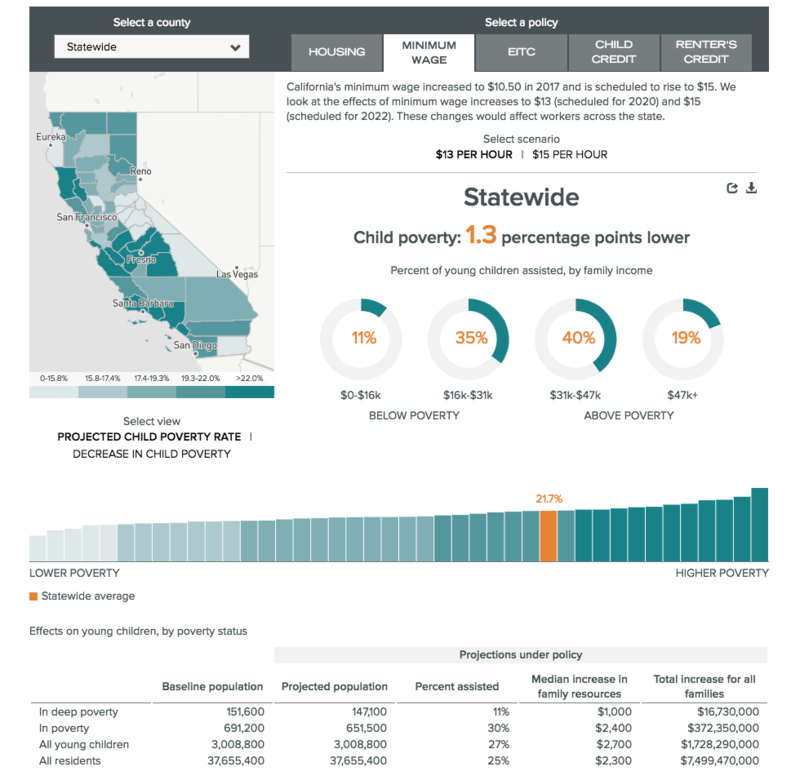 We partnered with the Public Policy Institute of California (PPIC) to show how child poverty could be reduced by different public policies. One consideration was how to set the scales to ensure that the large differences between different policy scenarios would be apparent. For the map, there was a decision not to use quartiles or quintiles, to ensure that the variation among counties was apparent in the colors on the map. For the bar chart, the y-axis remains the same as the user toggles between policy scenarios, so it’s readily apparent which policies have the largest impact on poverty.